Well, I think this is the longest break I've ever had from the blog! 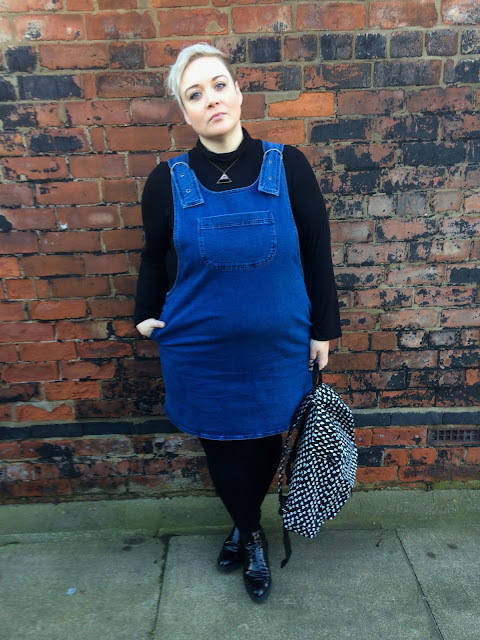 It wasn't intentional but I've just been so busy with uni I've not got dressed, let alone looked good enough for the blog! 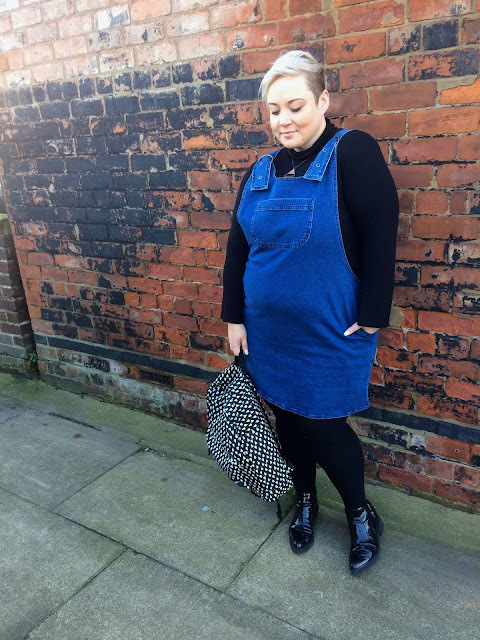 I decided to work from uni today just for a change of scene really, so I did in fact get dressed and I'm loving it, so I grabbed some pics before I left. 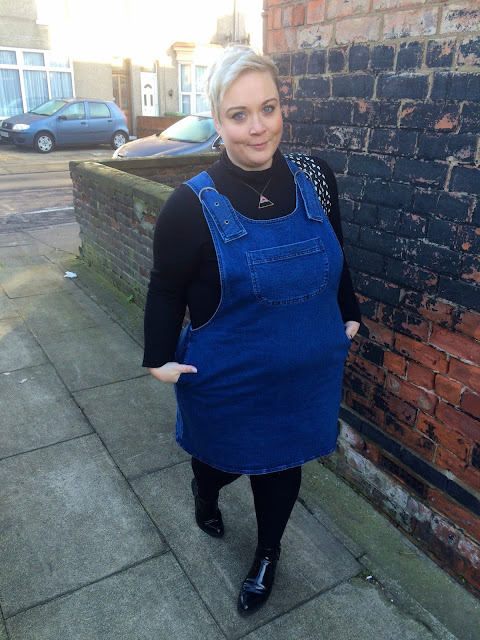 I have developed a bit of a pinafore obsession to be honest. I just find them really easy to wear. 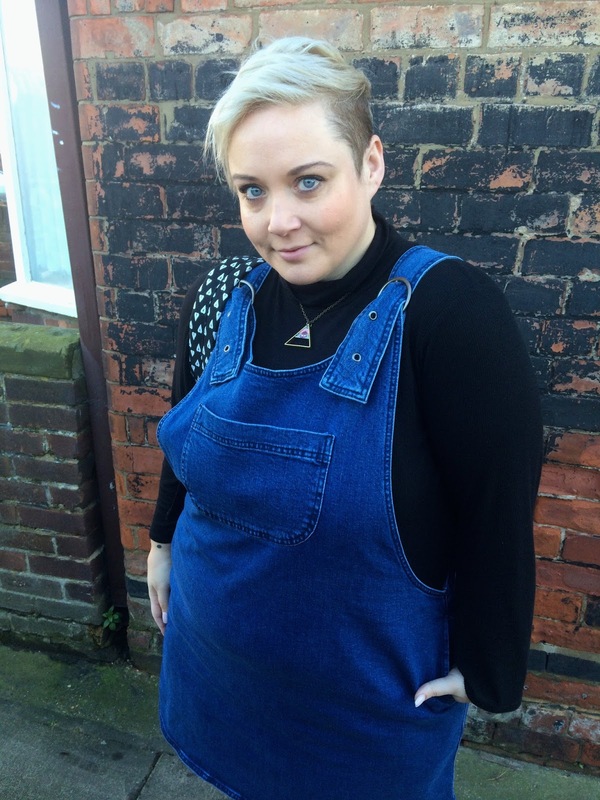 I virtually live in my black ASOS dungarees, but I wanted something a bit more versatile and girly. I first saw this pinafore dress on my lovely Em (Terrible Tumbles) when we did the ASOS Girl Gang Goals Campaign and loved it then, I don't know why I didn't pick it up sooner to be honest! 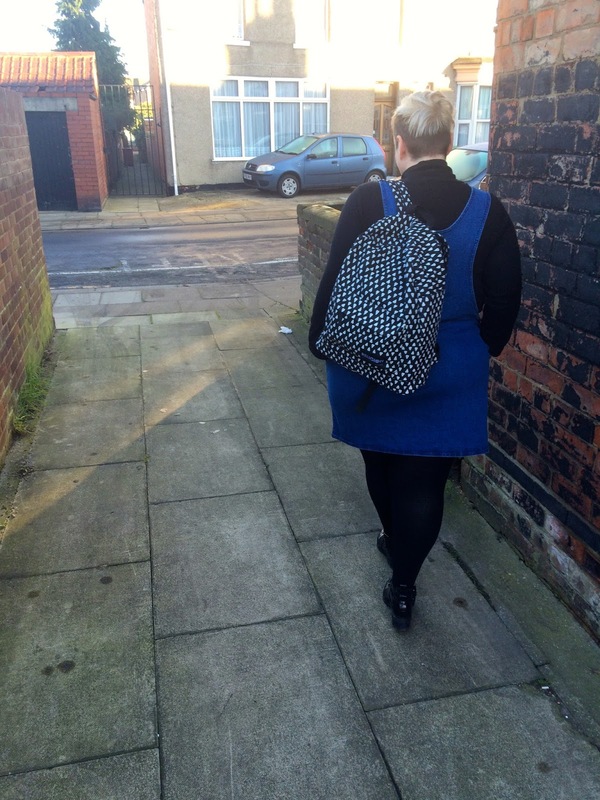 The pinafore dress was in the sale, and while I was there I picked this backpack up. I'm not usually a fan of backpacks, I like to be able to rummage for all my belongings easily without gaffing around, but for going to the gym and carrying my laptop, this has really been godsend. Right then, that's enough chatting from me, this script isn't going to write itself! Hopefully I'll see you all a bit sooner this time though! Wow, such an inspiring back to school look! Everything looks chic and harmonized! That's what I call woman's individuality. You look amazing in these clothes. 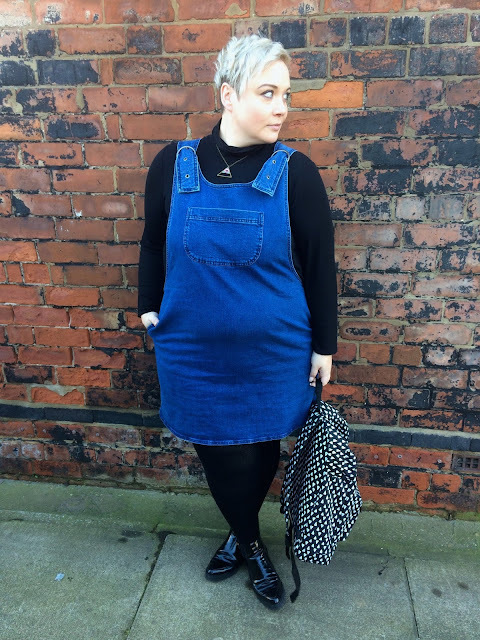 I also made a blog post about back to school clothing ideas: https://styledebates.com/back-to-school-clothes/ Hope these ideas can be worth trying on!